Uddingston, aka "The Villagers", formed in all the way back in 1883 have two Saturday teams with the 1st X1 playing in the Western Premier Division, while the 2nd X1 compete in the Reserve Division. 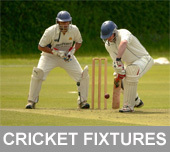 The 1st XI play in a number of cup competitions including the National T20, the West League Cup and the Scottish Cup.There is also a 3rd team known as the Development XI who play a number of midweek and Sunday games throughout the summer. 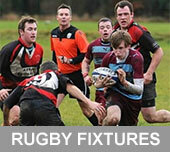 Senior practice takes place at the Bothwell Castle Policies ground on Tuesday's and Thursday's from 6.30 - 8.30 pm. 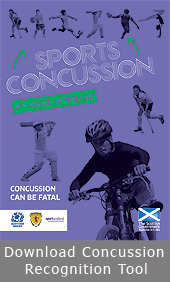 Outdoor training generally commences early April and finishes in September. In addition, the club has four junior teams - the Under 11's, Under 13's, Under 15's and Under 18`s. Junior practice and coaching is held every Wednesday from 6 - 8pm from mid April. Indoor coaching sessions are also held throughout the off-season. Uddingston Rugby Football Club (URFC) was formed in 1906 and is one of Scottish Rugby Union's oldest clubs. In addition to the Senior Section, we have a thriving Mini and Midi Rugby Sections with players ranging from Primary 1 through to Under 18 level. Senior squad train on a Tuesday and Thursday with training for the under 18's taking place on Wednesdays evenings and Saturday mornings (depending on age). URFC are forward looking and welcome players and social members of all ages and abilities. Uddingston Hockey Club was formed out of a merger with Bellshill Hockey Club in 1975 with Bellshill Hockey Club being formed in 1925. We currently have a Mens, Ladies & Youth section, with teams participating in outdoor and indoor competitions at district, regional and national level. 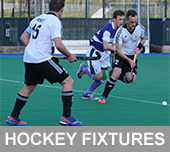 Our senior teams train on a Tuesday / Thursday (Gents 1s & 2s) at Glasgow Green with general club training on a Wednesday (Ladies 1s & 2s / Gents 3s, 4s & 5s) at Holy Cross High School. Our Youth section train on a Tuesday (Holy Cross High School) and a Thursday (John Ogilvie High School) and cater for boys & girls aged 4 to 16 with new members always welcome. The Hamilton Harriers club was formed back in 1896 and is currently an adult running club for over 18's. Training is every Tuesday and Thursday evening at 6.45 pm and welcomes new members (18+) of all abilities. Training involves speed work, tempo and stamina and current members are training for anything from 5k to marathons, with our main coach being the current world over 65 half marathon champion.